BPA-Free: 100% Food grade material, Eco Friendly, safe for tenderizing, FDA approved. 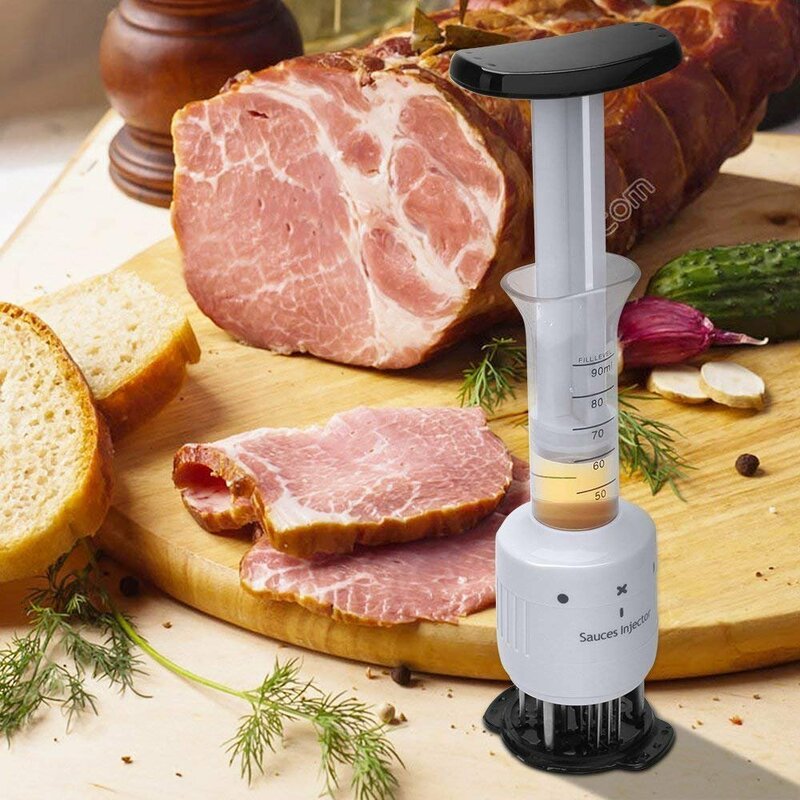 Easy to use and carry: Just hold the meat tenderizer (Sleek shape fits in the hand and most tools holders), tenderize any tpye of meat in natural process, keep the muscles fibers and the collagen as it is. Safe to carry and arrange: Blades only deploy while pressing into meat and automatically retract. The sharp tip will work with just a few clicks. When not in use, just hang it with the hole anywhere. Wide use: Suitable for Steak Chicken Fish Meat Pork Veal Beef Flavor Maximizer Tenderizing BBQ Marinade. Noted: This meat tenderizer is not dishwasher safe. Hand wash is recommended. Great for me. Used for fitness meals, chicken breasts, steaks. I feel my muscles are increasing. Works great and I love that water does not stay trapped in it when I put it in the dishwasher!